Can you imagine greater flexibility in your hips, knees, fingers and every other joint? Want to experience a day, a week, a year without joint agony? 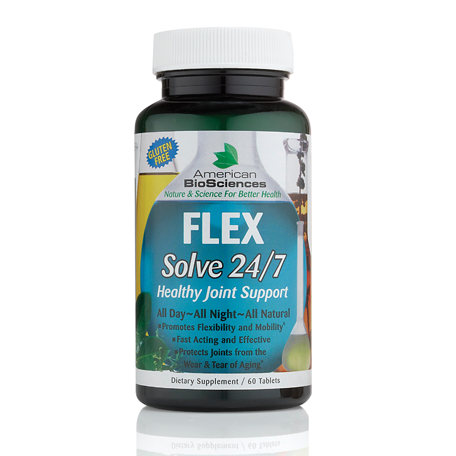 Herbal FLEXSolve 24/7 is ready to give your joints a new lease on life. In just days, you can begin to experience a life without joint problems and discomfort. Give yourself a total joint makeover with FLEXSolve 24/7. 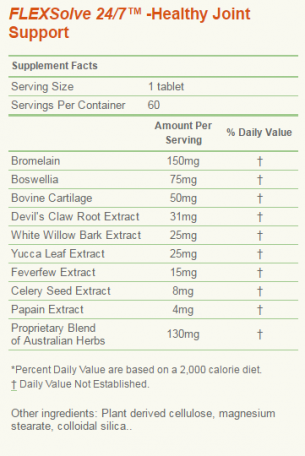 FLEXSolve 24/7 contains 13 European and Australian herbs that work together to make you more flexible… FAST! Try FLEXSolve 24/7 and see a difference or we'll refund the full purchase price, no questions asked! FLEXSolve 24/7 provides the superior joint support you need and fast! You’ll feel the difference after just one bottle! Can you imagine greater flexibility in your hips, knees, fingers and every other joint? Want to experience a day, a week, a year without joint agony? days, you can begin to experience a life without joint problems and discomfort.